Barium yellow, deeper on falls except around the orange beards. Nice shape and edges with serrated ruffles. 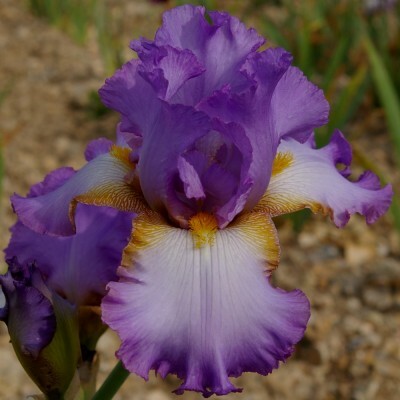 Good grower and it often reflowers in September or October. A symphony of unusual tones: lilac-white standards, mid-fuchsia falls and almost fluorescent beards between orange and red which bring a very luminous touch. Balanced stem, flowers well borne and moderately waved. 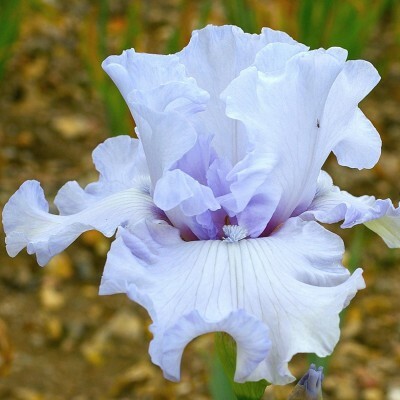 Superb descendant of 'Silverado' boasting white flowers of 17 cm in diameter with a hue of light lavender blue. A magnificent shape with nearly horizontal falls almost 10 cm wide. 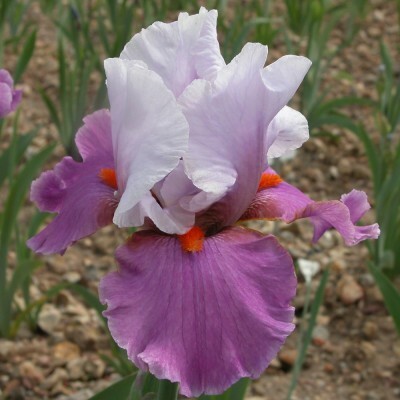 We are extremely pleased to dedicate this so very chic iris to the Château de la Bussière.